Welcome to I S A F O R. Our vision on forest conservation and forest management is our guidance for advice and development work. Current interest: The biomass fairy tale. We face the political reality of a temporary promotion of woody biomass to substitute fossil fuel for energy generation. The effectiveness of woody biomass for reducing the CO2 volume in the atmosphere is contentious. The CO2 in the atmosphere is a mixture from various emission sources and fuels. The earth has a capacity of sequestrating CO2 from the air. Forests represent a substantial part of the earth���s sequestration capacity. Since decades emission volumes exceed sequestration volumes. While CO2 emissions were increasing, sequestration capacity of the forests was decreasing (deforestation, management less and less geared to wood production), resulting in an increasing CO2 content in the atmosphere. Can substitution of fossil fuel by fresh woody biomass for energy production make a change? As to emission, burning fossil fuel or pellets from biomass leads more or less to the same CO2 emission per Kwh. However emissions related to the production process and transport are often higher for pellets (from fresh woody biomass) than for coal and much higher than for��natural gas. Regarding storage, the effect of burning biomass instead of coal is more or less neutral to the change in stored volume of carbon. Burning coal means keeping the above ground CO2 store, while burning biomass means keeping the equivalent store (coal or gas) under the ground. As to sequestration, burning fresh woody biomass instead of fossil fuel has no considerable effect on the sequestration capacity unless it results in more intensive forest management, within the boundaries of sustainable forest management, and/or in expansion of the forest area. More intensive forest management and expansion of the forest area have a long-term positive effect on the sequestration capacity. A proxy calculation of the added sequestration capacity is the annual increase of the increment of the trees. The concept of carbon debt (amount of CO2 to be sequestrated over time to balance the CO2 emitted from the harvested biomass) may be interesting from a scientific point of view but has little significance for policy making. What matters is, as explained above, whether the sequestration capacity has changed or not. 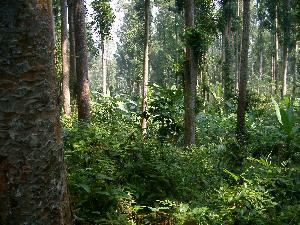 Conversion of natural forests into timber plantations or as a result of indirect land use change (ILUC) must be avoided. It results in the emission of great volumes of CO2. These emissions are often considered as being part of the carbon debt. However it seems more appropriate to register these emissions as undue emissions from land use change, which should be prevented. In summary, substitution of fossil fuels by fresh woody biomass will in most cases have a negative effect on the amount of CO2 in the atmosphere, at least on the short run. On the long run substitution may be positive if there is a causal relation between the demand for fresh biomass and afforestation for biomass production and, where appropriate, more intensive forest management. These effects will result in an increase of the annual wood increment and thus of the sequestration capacity. The increase of the sequestration capacity should not be achieved at the costs of undue emissions from natural forests. 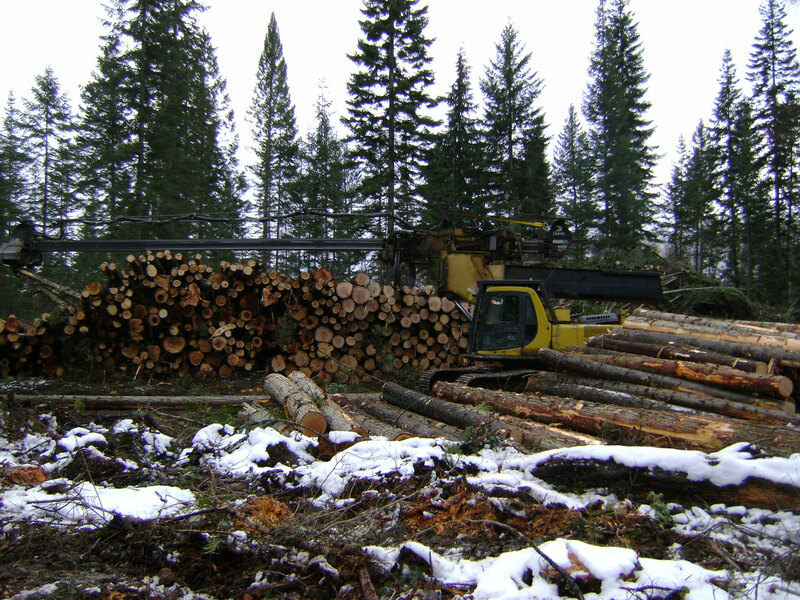 There is however an undisputed advantage of woody biomass to fossil fuel. Woody biomass is a renewable resource. But there are also risks in using fresh woody biomass. Nutrients may be depleted on poor soils. Traditional markets for wood may be disturbed by rising wood prices with the ultimate consequence that wood is being superseded by less sustainable materials. New plantations for biomass may compete with agricultural land for food production. While these risks could be controlled, the main limitation for an expanded and sustained use of woody biomass for energy is the limited availability of (forest) lands to generate the enormous volumes of biomass needed to substitute a substantial part of fossil fuels. Finally, the same SFM standards that pertain to timber for construction, pulp, paper board and panels should also apply to woody biomass for generation of energy. We care for our precious environment and the wise use of the world�����s natural resources. More particularly, we focus on policies and institutions which support the conservation and wise use of the world’s forests. We believe that conservation of biodiversity and sustainable use of our renewable natural resources are prerequisites for sustainable development. We also understand that sustainable development does not call for the conservation of all present forests. But we do know that the trade-off of forest conversion is often not well investigated or understood. Therefor decisions on forest conversion must take into account the trade-offs based on sound scientific information and must be based on transparent consultative land use planning procedures. We understand that people who are depending for their livelihood on the forests must be assisted and empowered to defend their own interests. Planning of forest use must be a fair process. Our understanding of a fair process is that both conservative and progressive voices, non-commercial and commercial parties are able to speak and be heard and may count on a transparent and righteous decision making process. We believe in a generic definition of sustainable forest management (SFM) comprising a set of principles which are worldwide recognized and which leave room for further interpretation in the context of the biosphere and the culture of a region or country. The present trend of proliferation of SFM standards focussing on the use of products from the forests rather than on integral forest management seems counterproductive. We see certification of forests as a necessary and supportive transition stage towards a situation where sustainable forest management is rather the rule than the exception. For the time being, certification may contribute to SFM and trade in sustainably produced timber. More than one system may certify SFM. However the interests of individual schemes of being recognized in the market should not unnecessarily complicate the business of companies who wish to process and trade sustainable timber. Curbing illegal logging is a prerequisite for making accelerated progress towards sustainable forest management. Legislation such as the European Timber Regulation and the US Lacy Act have significantly contributed to reducing the demand for and the use of illegally harvested timber in those parts of the world. Voluntary Partnership Agreements between the EU and tropical countries may help to curb illegal logging and facilitate the trade of legal timber and wood products. FLEGT licensed timber deserves a special position in Timber Procurement Policies of EU countries.